At some point in time, writer’s block happens to almost every PhD candidate during the dissertation writing process. A writer’s inability to begin, continue, or finish his or her PhD dissertation—that feeling of being stuck on the blank page or even partway through the document—has proven to be a stubborn phenomenon that can turn into any student-writer’s nightmare. 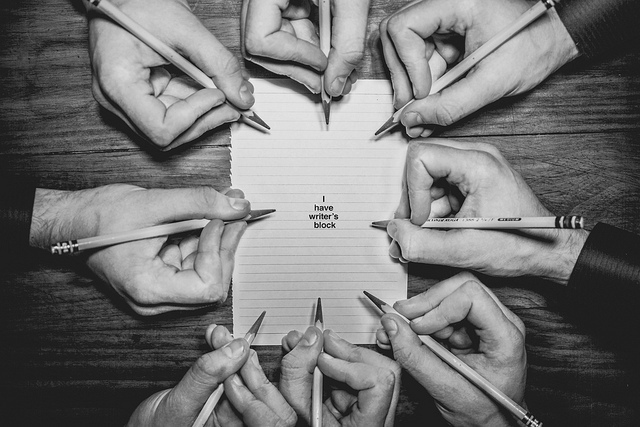 What creates writer’s block? It comes from those many physical and emotional conditions that can stymie the writer and make him or her stop writing—or feel unable to start writing in the first place. When writer’s block strikes, it helps to form a clear view of the source of the block (where is it coming from?) as well as to develop full consciousness of the fact that writer’s block is, in the end, an illusion that can be dispelled. There are many reasons why dissertation writers experience a block that makes it hard for them to write. Two of the biggest are inner criticism and life circumstances. The fear that one will compose substandard content unsuited to a doctoral degree. In this case, aim not to write perfectly, but instead simply focus on advancing the writing process. Remember, dissertation editing can come later! The fear that one cannot possibly address all of the feedback from one’s dissertation advisor and dissertation committee properly. It’s tough, but it’s time to put your head down and give your best effort to dissertation editing. Feedback is important, but it is also part of the typical doctoral “hazing” process. You do need to make an effort to address feedback by editing your dissertation, but in the end, perfection is not required. Keep moving! The fear of negative critique of the finished PhD dissertation. A good solution here is to not be your own judge but instead to seek a dissertation editing and proofreading service that can give you an honest and objective perspective. Knowing you will have this support down the line may just help you to skip judgmental practices now and focus on the writing process instead. Nearly every PhD student faces a period of writer’s block. The difference comes from those who are willing to push past it. Plan to get into a routine of writing regularly, regardless of how perfect it is. And know that you—and your team of advisors and professional dissertation editors—can polish the final version in the future. One Comment on "Two Ways to Kickstart the Dissertation Writing Process When You Have Writer’s Block"